Grizzly bears are ranging farther east than ever before off of Montana’s Rocky Mountain Front Range, and private-land conservation must follow them. 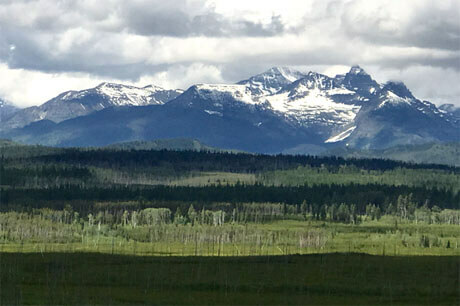 With the Northern Continental Divide Ecosystem (NCDE) grizzly population reaching the recovery zone’s carrying capacity, recent years have yielded a major rise in bear-human conflicts on ranches and other private land in central Montana. Along a Teton River tributary north of Choteau, Glen Willow Ranch is no exception. That’s why we’re partnering with the property’s conservation-minded landowner to conserve the ranch as both working land and a wildlife haven. What happens when a national conservation group moves out of an area? Above Montana’s North Fork Flathead River, we’re making sure that the answer isn’t new development. Our recent partnership with The Nature Conservancy and new conservation-minded landowners places a conservation easement on Polebridge Palace, a treasured 142-acre forest that once played prominently in TNC’s early conservation work along the North Fork Flathead. The son of Swiss immigrants, Dave Petrig grew up in Seattle but always wanted to own land in the Rockies. In 1995, he bought property high on Ellis Mountain overlooking the confluence of Montana’s Ninemile and Clark Fork valleys. Now we’re making sure Dave’s conservation legacy endures. Before Dave passed away, his daughter, Tina, worked with Vital Ground to permanently protect the Ellis Mountain property as wildlife habitat. The Petrigs paired their savings with their conservation values to fully donate a conservation easement to Vital Ground. 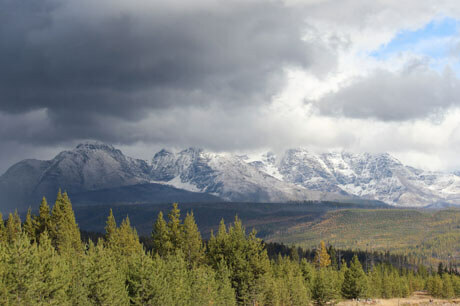 Their generosity protects important buffer habitat, as Ellis Mountain lies near the intersection of three grizzly bear recovery zones—the Northern Continental Divide, Cabinet-Yaak, and Bitterroot ecosystems. Protecting this parcel is a first step toward establishing natural migration of Montana grizzlies into the vast protected habitat of the Idaho Bitterroots. 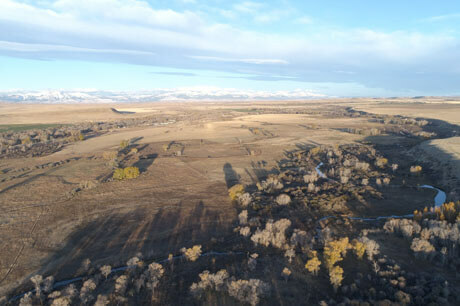 Born from our first easement, the Elk Flats Neighbors Project established a new standard for private-land conservation in Montana’s Swan Valley. After Vital Ground partnered with legendary Swan woodsman Bud Moore to conserve his Coyote Forest property in 2005, we began working toward other partnerships that would protect critical valley-bottom habitat that bridges the Mission and Swan mountain ranges. By 2013, we had closed on five neighboring easements and one fee-title acquisition in the Elk Flats area near the town of Condon. When grizzly bears emerge from their dens each spring, most are quick to move toward low-lying riparian areas. 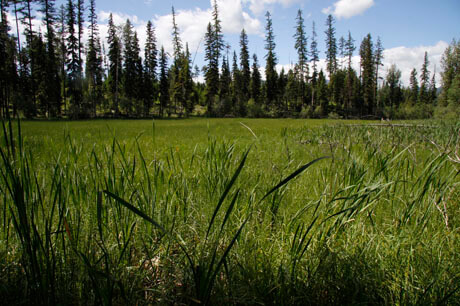 These wetlands see the year’s first plant growth, providing critical nutrition for hungry bears. That’s why we eagerly teamed up with Swan Valley landowner Richard Boughton to place a conservation easement on his 25 acres in the Upper Swan. Fifteen miles north of our Elk Flats Neighbors Project, the Simmons Meadows property combines forest and wetland to provide crucial bottomland for bears and other wildlife. Protecting it from development gives these sensitive species another safe haven as their seasonal movements pass close to settled areas. 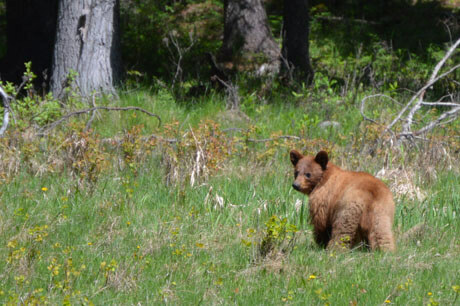 And it works—Richard and neighboring landowners have reported numerous grizzly sightings on and near Simmons Meadows in recent years. 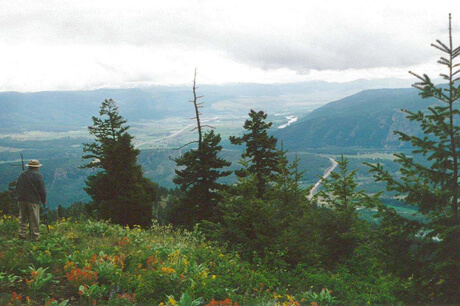 Back in 2004, our first project in the Swan Valley was a partner grant to help Montana Land Reliance secure an easement on Gene and Patricia Tingle’s 80-acre property along Windfall Creek, which lies at the base of the Mission Mountains, just south of Elk Flats. In 2010, we furthered our conservation footprint in the area, partnering with the Jenkins Family on separate 60- and 20-acre easements for their property adjacent to the Tingle land. 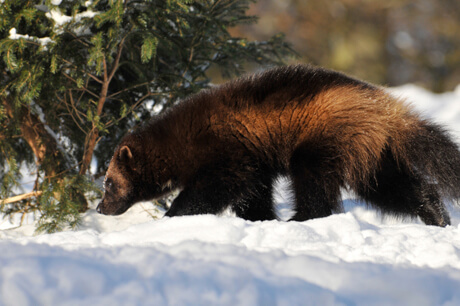 Each easement includes a single cabin site, with the rest of the land protected as wild habitat for grizzlies, Canada lynx and other species who traverse the Swan Valley corridor between the Missions and the Bob Marshall Wilderness. A healthy forest benefits all species, human or otherwise. That philosophy has played out along Cedar Creek, where Ed Levert, a retired U.S. Forest Service manager, has carefully revitalized a diverse canopy within the 160 acres he owns with his sister, Catherine Deans-Barrett. Bears, moose, elk and a host of other species frequent the property, which lies near the North Fork of the Flathead River and just five air miles from the northwest boundary of Glacier National Park. We were eager to assist Ed and Catherine in protecting this prime habitat and forestland, completing a fully-donated conservation easement on the property that will maximize both wildlife value and a sustainable timber harvest for generations to come. Just south of our Simmons Meadows easement, the larger Condon Creek property marked another Vital Ground success in the Swan Valley. 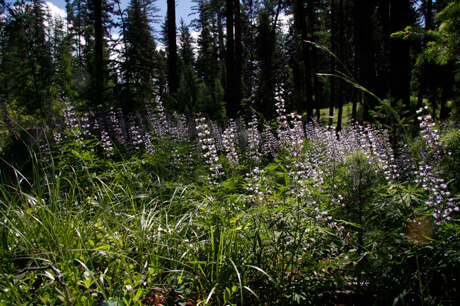 The property provides crucial grizzly connectivity between the Mission and Swan ranges, but it also hosts smaller wonders. 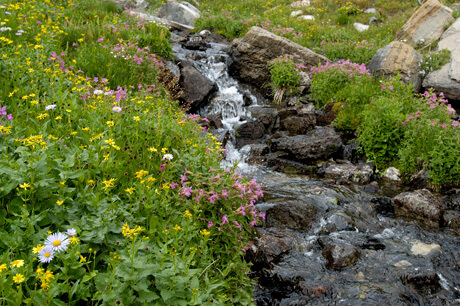 Half a mile of Condon Creek crosses the acreage, and these waters host native Westslope cutthroat trout, threatened bull trout, and water howellia, a threatened aquatic plant found nowhere in Montana but the Swan Valley. From massive grizzlies to fragile flowers, this easement conserves another precious chunk of habitat in the Swan. On the opposite side of the Swan Valley bottom from Elk Flats and other Vital Ground projects, our Cooney Creek easement marked a major step forward in Vital Ground’s effort to build a vibrant wildlife corridor between the Mission and Swan mountain ranges. Cooney Creek tumbles down into the property from the Swans and the Bob Marshall Wilderness, with a half-mile of riparian habitat now conserved under our easement. 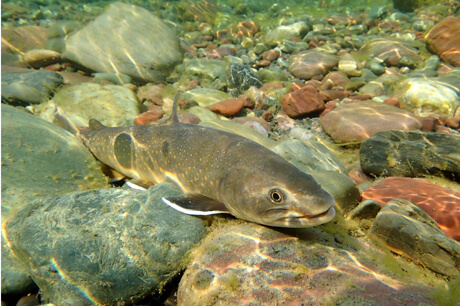 This waterway offers crucial spawning and rearing grounds for threatened bull trout, another example of how our work for grizzlies carries big benefits throughout an ecosystem. One drainage north of Cooney Creek, the McKay Creek easement brings our total up to 420 acres conserved on the east side of the Swan Valley. 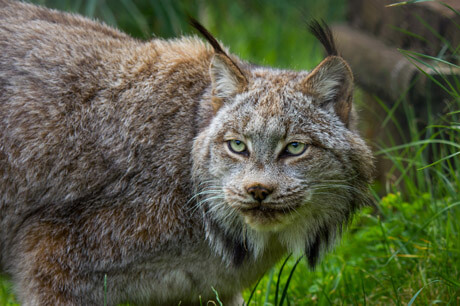 With Elk Flats and other projects on the opposite side of Highway 83, this patchwork of protection measurably increases the genetic linkage of the NCDE’s grizzly, lynx, wolverine and wolf populations. Coyote Forest is where it all began for Vital Ground in the Swan Valley. Shortly after we moved foundation headquarters from Utah to Montana and became an accredited land trust, we completed our first conservation easement in partnership with Bud Moore, whom many knew as the elder statesman of healthy forest management in the Swan. Bud managed his 80-acre property for a small timber harvest and accompanying sawmill operation, all while keeping a careful eye on the overall health of the land, which features mixed conifers and lush wetland habitat that regularly attracts grizzly bears. Thanks to Bud’s generosity and reputation in the Condon area, Coyote Forest served as a springboard for neighboring conservation efforts, culminating in our Elk Flats Project. In 1991, Doug and Lynne Seus were young animal trainers still working to establish themselves in Hollywood circles. But their love for Bart, the grizzly they had raised from a six-pound cub into a gentle behemoth, drove the Seuses to pursue more than their own professional success. Shortly after founding Vital Ground, Doug and Lynne did something reckless and marvelous—they spent their retirement savings on a piece of land far from their Utah home. Lying along the Teton River beneath Montana’s Rocky Mountain Front, the Toy property became Vital Ground’s first investment in the future of grizzly bears in the Lower 48. 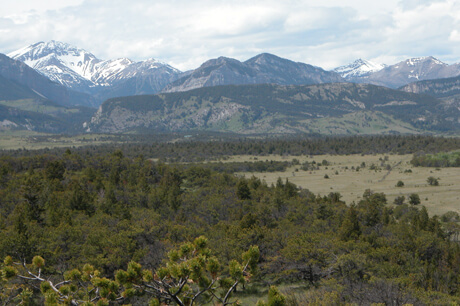 Offering lush riparian habitat to a wide umbrella of wildlife and stunning views of the Bob Marshall Wilderness, the Seuses knew this was the right place to begin their conservation journey. Now, more than a quarter-century later, we’ve passed on ownership of the property to The Nature Conservancy of Montana, which manages its adjacent Pine Butte Swamp Preserve for maximum wildlife value. But the legacy of our first acquisition lives on—from the partnerships with TNC that it helped foster to the land trust model it would eventually inspire us to adopt.